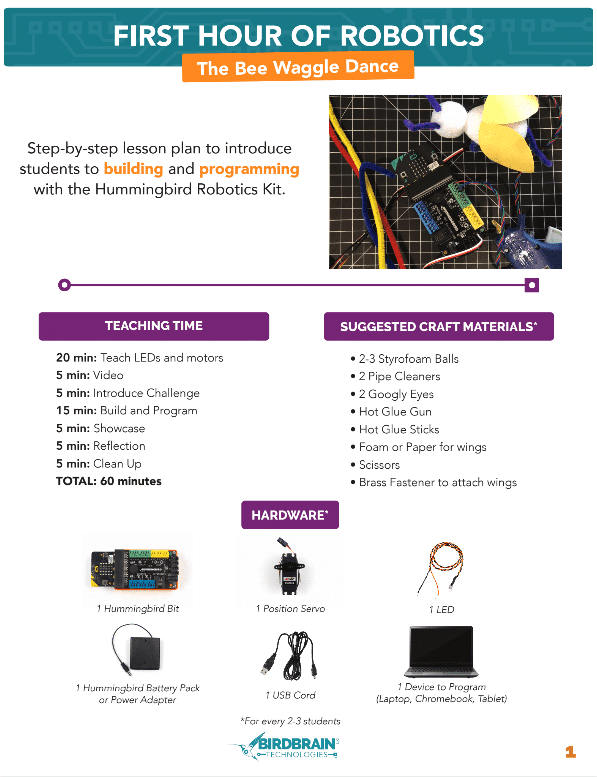 Step-by-step lesson plan to introduce students to building and programming with the Hummingbird Robotics Kit. Included in this lesson plan: Suggested craft supplies, content connections, guiding questions, classroom tips, and more! Bonus: Get bee waggle building tips in this 2-minute video! How can you recreate the motion of a bee waggle dance with robotics components? Follow this easy lesson plan to guide your students through the process! 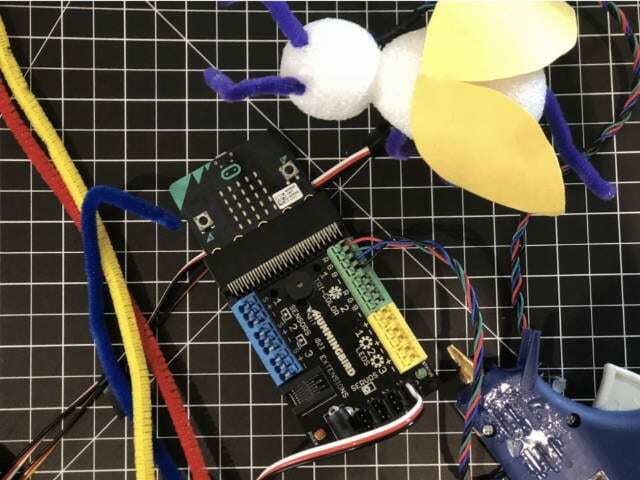 See how 5th grade students at Midtown International School in Atlanta, GA designed, built, and programmed the bee waggle dance in their classroom!